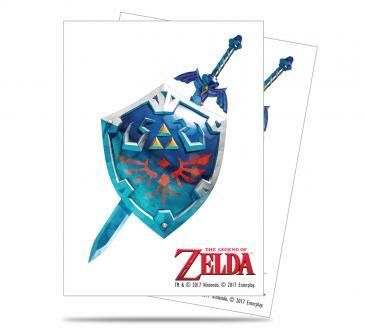 The Legend of Zelda Deck Protector sleeves are produced with archival-safe polypropylene materials and feature Ultra PRO's hologram quality seal. Sized 66mm X 91mm, they are designed to store and protect standard sized gaming cards and are packed in 65-count peggable packs. Extra information: Archival-Safe; Acid-Free; Ultra Pro hologram quality sealed.